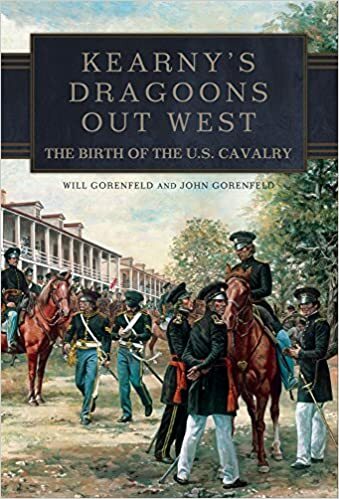 A General Court Martial held at Taos, New Mexico, on the 21st May, has passed sentence of death on Privates Aaron D. Stevens, John Cooper, Joseph Fox, and John Steel, of Company —œF— 1st Dragoons, who were engaged in a drunken riot in that town, when the Company entered it on their march to join a military expedition against the Indians, and who mutinied against a Major of the regiment, which, being present in the town, he interposed his authority to bring them into order. The case is a clear one under the 7th and 9th Articles of War upon the law and the facts; and the President would feel it his duty to order the execution of the sentence of death, if he was not compelled to find something to mitigate the crime of these men in the general condition of their Company, and in the misconduct of their officers. It is proved that the commander of the Company, and many of the Company, then under arms, on a march, were drunk when the riot and mutiny broke out. It would seem, too, that proper exertions were not made by the officers, non-commissioned officers, and soldiers of the Company, to suppress the mutiny, although, thereby, under the 8th Article of War they were each and all committed an equal crime, and incurred equally the penalty of death, with those who joined in the mutiny. It appears that no proper discipline had been previously maintained in the Company, and that the major of the regiment, under whose command they had been serving, was greatly responsible for that utter want of discipline which would have cost him his life in this mutiny, if he had not been rescued by civil authority; and that part of the violence he suffered, in the riot, was invited by his challenging the company to fight him man by man. Under the circumstances, however imperative the President may feel his duty to enforce the laws, which will not endure that our people will suffer for the evils of an undisciplined soldiery, committing riot and outrage in their towns, he will not visit the whole consequence of this mutiny upon the four soldiers who have been convicted, nor execute in this case the sentence of death. The sentences pronounced against Privates Aaron D. Stevens, John Cooper, Joseph Fox, and John Steel, are hereby mitigated to hard labor for three years, under guard, without pay. They will be sent out of New Mexico in irons, by the first convenient opportunity, and will be put to labor with ball and chain at Fort Leavenworth. The non-commissioned officers of Company —œF—, 1st Dragoons, will no longer be trusted to serve together as a company. They will be distributed as privates to other companies of their regiment serving in New Mexico. 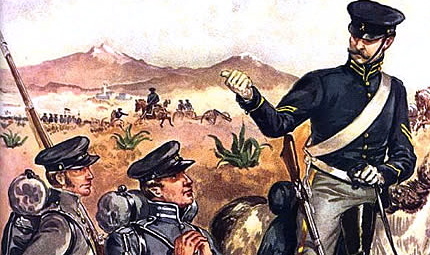 The Commander of the Department of New Mexico, on this order of the War Department, will prefer charges against the officers and non-commissioned officers of the Company who did not use their utmost endeavour to suppress the mutiny, and against such privates of the Company, if any there be, whose failure to their duty, in this particular, may deserve special notice, and against the Major of the Regiment for such parts of his conduct, in the riot, and in command of the Company at Fort Massachusetts, as seen to call for such proceedings against him. And a Court Martial will be convened to try them. The record indicates other grave charges against the officers implicated in this affair, besides those directly relating to the riot and mutiny. II… The transfer of the enlisted men of company F, above directed, will be made by the Colonel of the 1st Dragoons, under the orders of the Department Commander.